Home preparation is one of the amazing things about coffee. If you drink coffee at home, you’re probably doing at least a little work, like grinding beans or pouring hot water. And this sets it apart from things like specialty cacao, beer, and wine. However, there’s a lot more science and technique involved in making coffee than you might expect. Many people to struggle to brew good coffee at home. So if you’re trying to create the same great coffee you drink in a café, I’m going to explain the basic concepts for you. 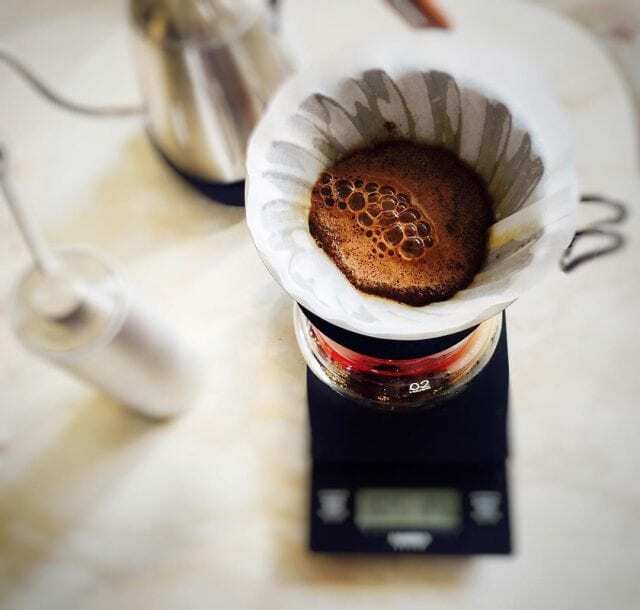 You’ll learn the differences between immersion and infusion; what extraction, solubility, and TDS are; and why brew ratios and extraction percentages are helpful. We’ll also look at simple ways to make your coffee taste better, like agitation/the coffee bloom and pulse pours. Scientifically speaking, brewing coffee is the process of extracting the soluble material in roasted and ground coffee. As this coffee is brewed in hot water, hundreds of unique compounds are extracted from the ground beans – creating brewed coffee. Sometimes a brew method that works well for one type of coffee might not work as well for another. This means getting the perfect brew can require some detective work. Baristas will often refer to “dialing in” a coffee. They typically start with a single recipe, and then make adjustments in dose or grind setting to affect the flavor. They will continue dialing in until they get an extraction with which they’re happy. Let’s dive deeper into brewing by dividing it into two basic categories: immersion and infusion. Brewing by immersion means the coffee grounds are fully submersed in water. This water then extracts the coffee over time. 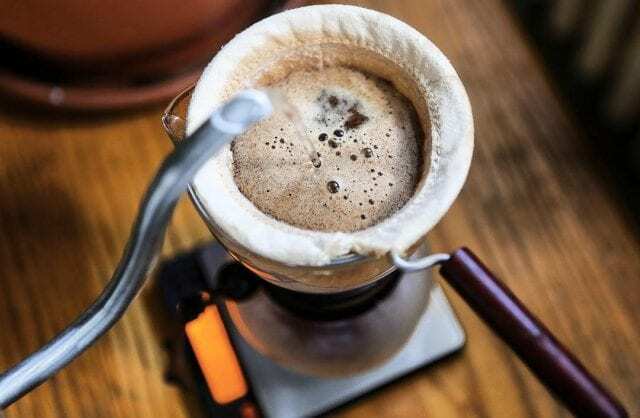 Probably the most common immersion brewing method is the French press, but others exist too: the vacpot siphon, the Clever, the AeroPress, and the coffee industry’s standard quality evaluation technique, cupping. Most cold brew methods that involve a long soak (like a Toddy) are also immersion. Immersion can be a fairly hands-off method of brewing. Just add water and wait: 4 or 5 minutes is pretty standard for hot coffee. Extraction slows down as the immersion time continues. This is because, as coffee solids dissolve into the water, the brew becomes gradually more and more saturated. The water “fills up” with coffee solubles, meaning it is less and less able to hold more of them. This doesn’t mean you can’t get a great cup of coffee, or a strong one for that matter, from immersion brewing. But it could mean that you may need employ a few tricks to get the optimally extracted brew. We’ll look at some of these a little later in the article. Infusion brewing involves water constantly flowing through a bed of ground coffee and filter. All drip brewing methods uses infusion. 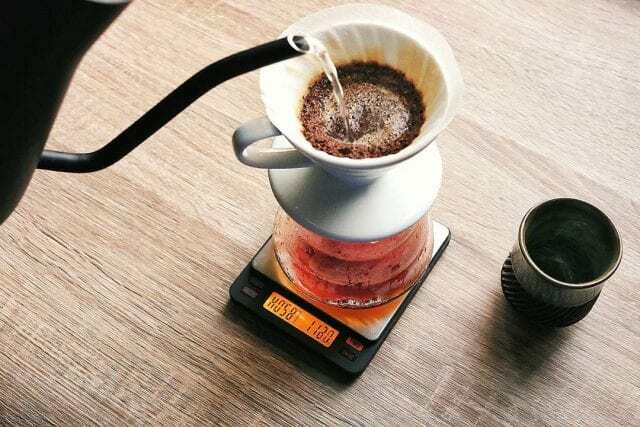 The Chemex, Kalita Wave, and V60 are common manual drip methods, but even an auto-drip machine like a Mr. Coffee, a BonaVita, or a batch brewing Fetco are infusion. Infusion is a little more efficient at extracting coffee solubles than immersion. This is because it solves immersion’s saturation problem with a constant supply of fresh water. More soluble material is able to be extracted into the beverage, provided enough hot water is added… up to a point, of course. Eventually, the hot water will have extracted all of the coffee’s soluble material. Infusion can also present some challenges. Manual methods are susceptible to bad pouring techniques. For example all, infusion methods run the risk of channelling, where a stream of water finds an easy route around the ground coffee. This will mean that some of the coffee doesn’t get extracted. Additionally, if coffee is ground too finely it can obstruct the flow of water. This will result in either an abnormally long brew time or filter baskets that overflow, ruining your coffee and dirtying your countertop. Technically, espresso is a form of infusion, but there are many differences that put espresso into its own category. The most important is this: espresso is a coffee extracted under pressure. 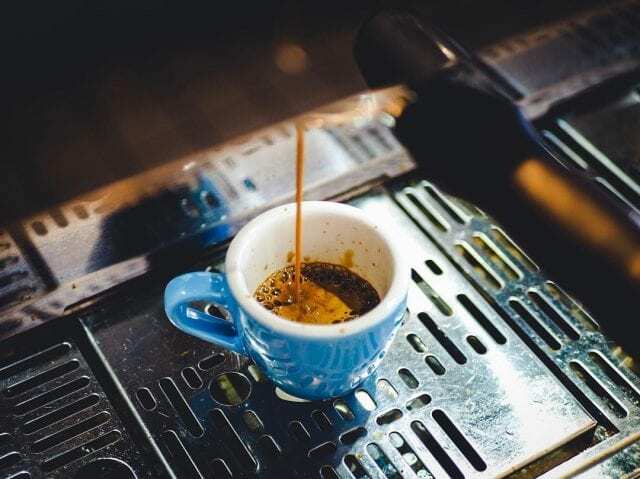 Any coffee can be extracted as espresso under the right conditions and using the proper equipment. The serving size of an espresso is typically much smaller, usually just 20–40 ml. It is also much more concentrated than regular drip coffee. A finer grind, along with the pressurized water, enables quicker and more efficient brews, usually in just 20–30 seconds. Finally, espresso is also different because the brew ratio differs from standard drip or infusion methods. Let’s take a look at brew ratio now. A coffee’s brew ratio is the ratio of ground coffee to water used to brew. It’s convenient if you want to scale up or down the amount of coffee you brew. If you were to ask a barista their standard brew ratio for a drip coffee, they might say 1:16. That means that for every gram of ground coffee, they’re adding 16 grams of water. Most brew ratios for coffee lie between 1:15 and 1:18. However, because espresso is so quickly and efficiently extracted, its typical ratios are closer to 1:2. Measuring both your coffee and your brew water is crucial if you want to pour these ratios correctly. Doing so will also help you to easily repeat a recipe. 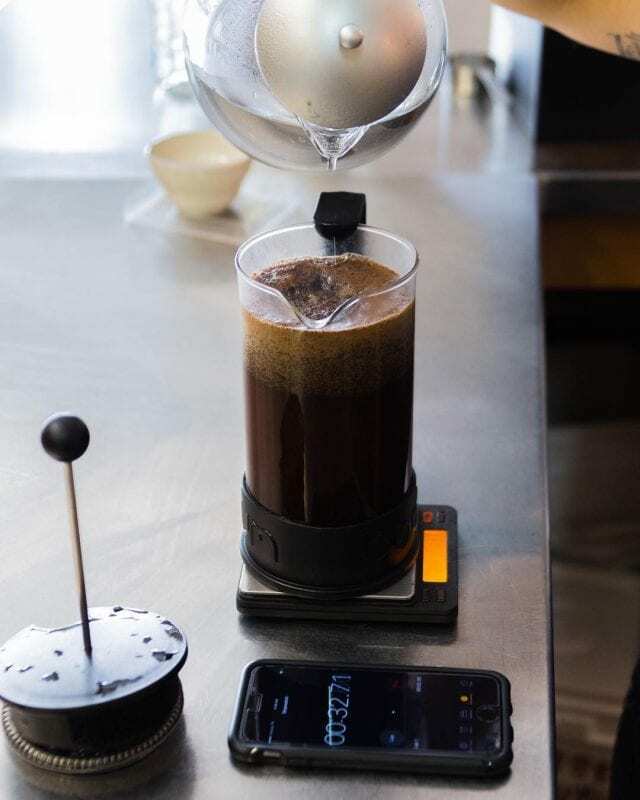 A digital gram scale, especially one that is waterproof and has a protective covering from heat, will become your most trusted tool when crafting coffee at home. Weight, not volume, is the best way to quantify your brew recipes. Additionally, you can quantify extraction with a refractometer. 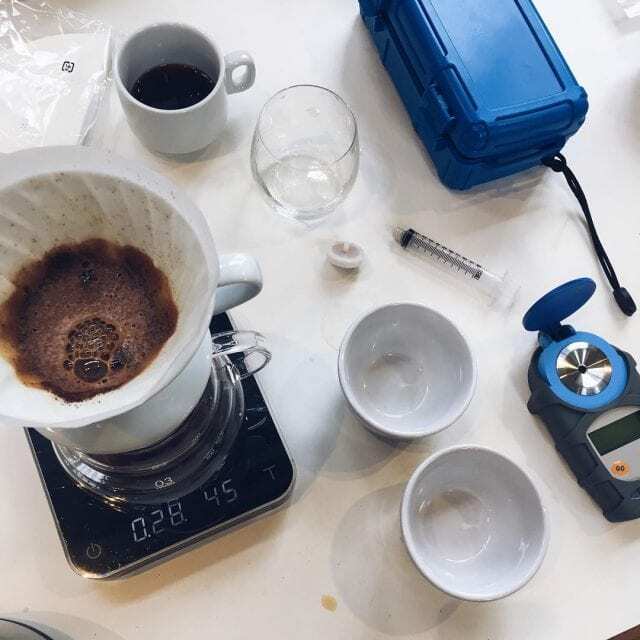 This tool will measure how much a substance, such as dissolved coffee compounds, changes the direction of light beams in a solution, such as brewed coffee. From this information, the refractometer can infer the amount of Total Dissolved Solids (TDS) in a solution. The more solids, the more the direction of the light changes. The more TDS, the more the coffee has been extracted. When people talk about a coffee’s strength, it’s the TDS they’re referring to – whether they know it or not. Strong coffee has a higher ratio of solubles to water. However, that doesn’t necessarily mean better coffee or good extraction. 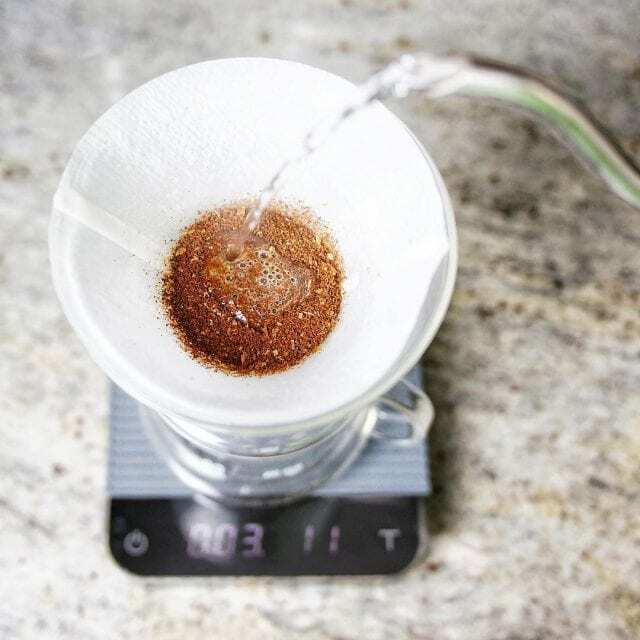 With TDS and brew ratio, you can determine your extraction percentage. This tells us how efficiently the dry ground coffee was dissolved into the water that we drink as coffee. It is a powerful tool for dialing a coffee into its best tasting brew. I mentioned earlier that it’s possible to affect the way a coffee brews. There are a few techniques that can potentially improve flavor, so let’s look at some of them. Agitation is stirring, or somehow disturbing, the bed of coffee grounds. Doing so in immersion or infusion brewing will usually increase your extraction. It’s especially useful for immersion, for two reason. First, it breaks up the crust of wet coffee grounds that float to the surface. Ever tried to push the plunger down on a French Press without stirring? It’s not easy! Second, remember how immersion brews can become saturated before the coffee is optimally extracted? Stirring can help with this issue. Bypassing is adding water to already brewed coffee. It’s a simple way to dilute your cup. If you like the flavor of strong coffee, but dislike the viscous mouthfeel, just add a little water. 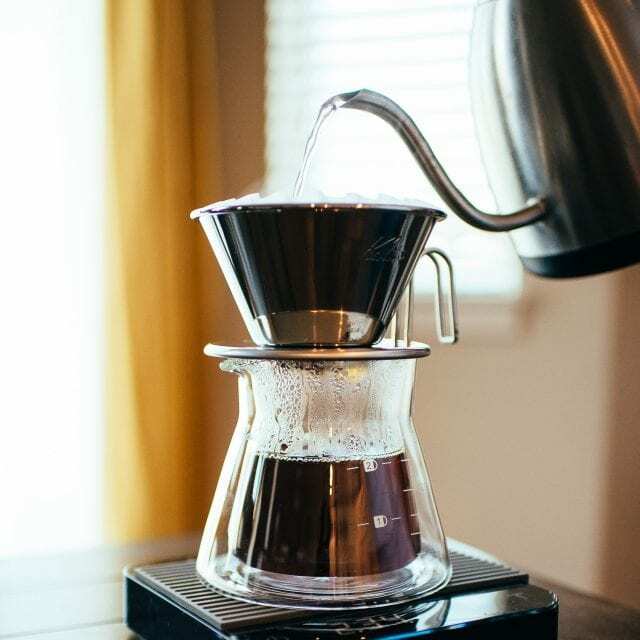 You’ll reduce the brew strength without affecting your brew ratio or extraction percentage. You can get pretty technical with this if you like, weighing your bypass water and comparing pre and post-bypass TDS to achieve optimal results. Pulsing means adding a little water at a time when infusion brewing, rather than creating a constant stream. It allows the coffee grounds in the filter bed to settle before more water is added. This technique can be used to compensate for fresh coffee. Done consistently, pulsing will help improve the consistency and efficiency of extraction. Pre-infusing coffee means introducing just enough water to saturate the grounds. Used in infusion brewing, typically brewers will first pre-infuse and then wait for 30-60 seconds before continuing to brew. Much like pulsing, the bloom can help you to brew fresh coffee consistently. It will improve the overall quality of the extraction for most drip brew techniques. 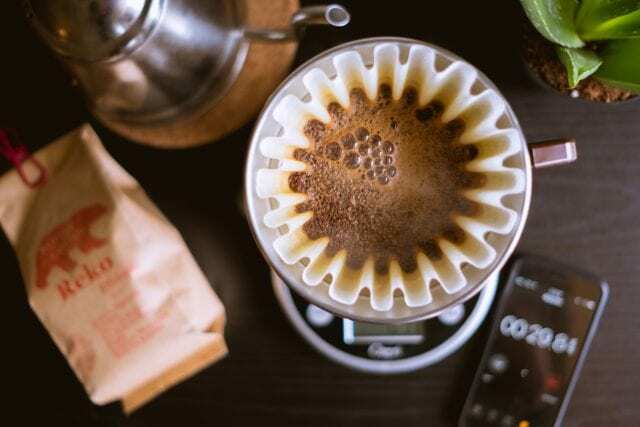 Coffee brewing can get technical – and the better you want your coffee to be, the more technical you should get. Yet while these concepts may sound intimidating at first, you will find you can grasp them relatively quickly. 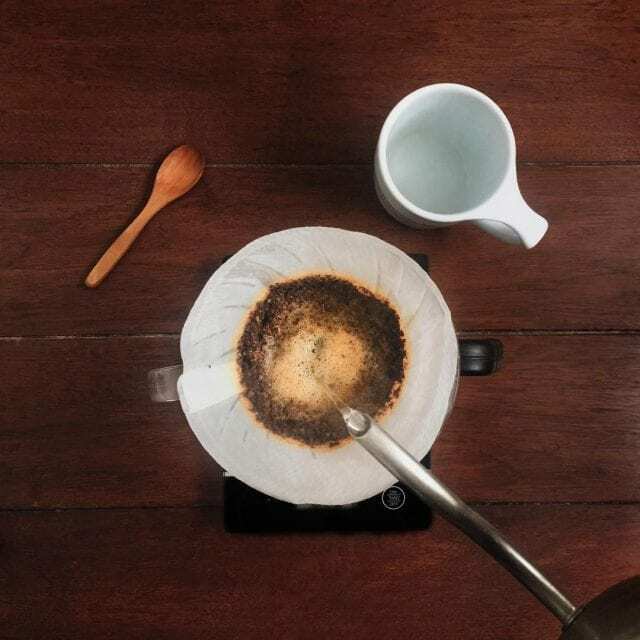 Practice these techniques and see how great your coffee can become. Please note: Royal Coffee is a sponsor of Perfect Daily Grind.